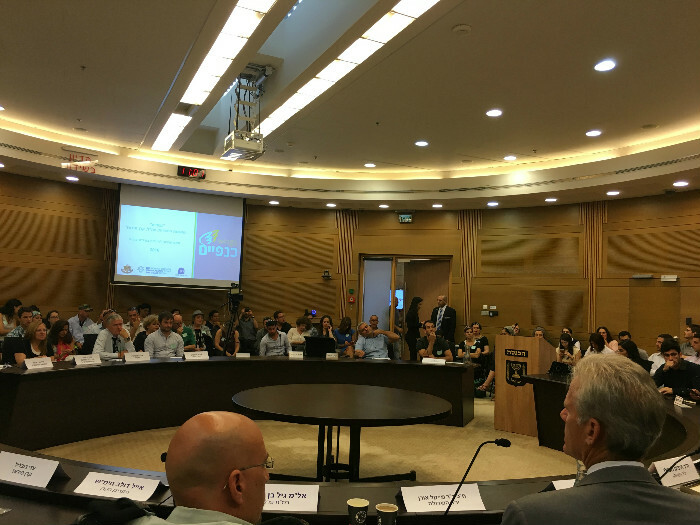 The Wings Program for Lone Soldiers was represented on June 6th in a caucus for lone soldiers in the Israeli Knesset. 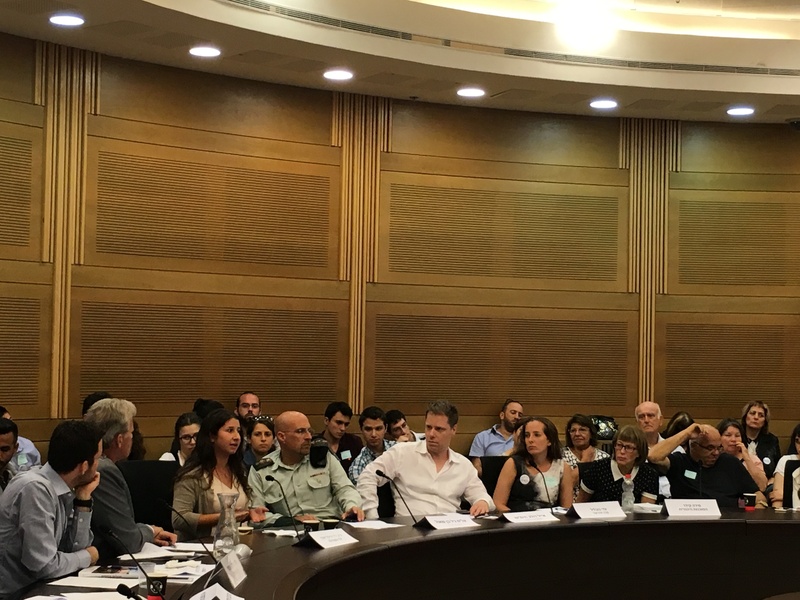 The caucus convened to discuss the issue of lone immigrant soldiers and their integration into Israeli society after their release from the IDF. The caucus, headed by MK Itzik Shmuli, MK Michael Oren, MK Dr. Aliza Lavi, and MK Meirav Ben Ari works throughout the year on behalf of lone soldiers and helps advocate for legislation representing lone soldiers. 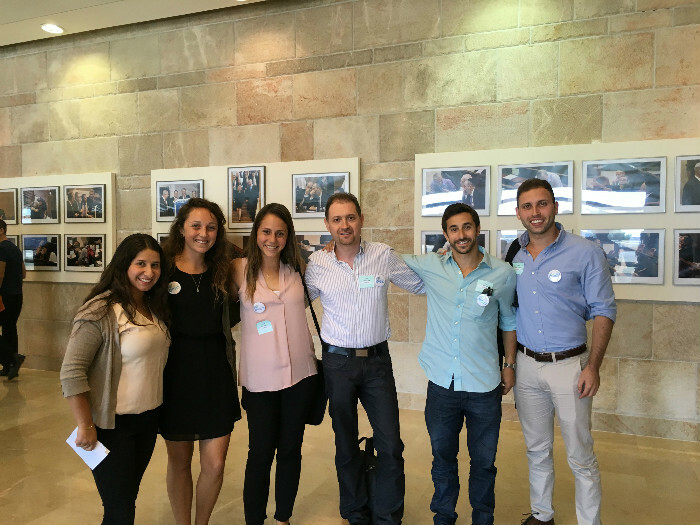 The Wings Program was represented in Knesset by Wings' executive staff along with 20 current participants and graduates of the Wings Program. 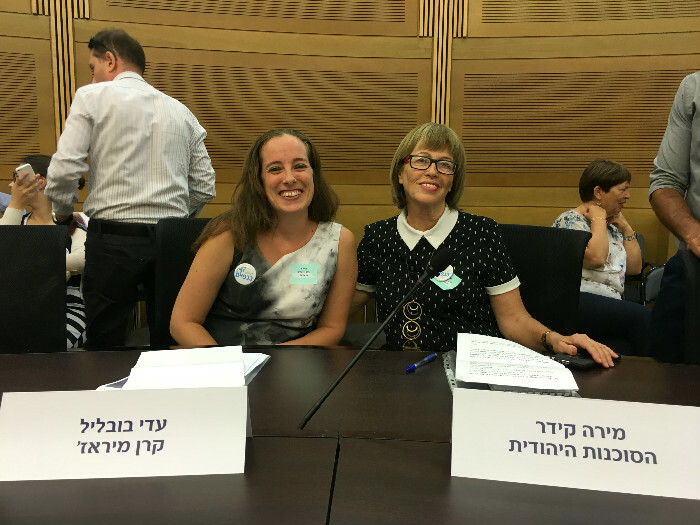 Adi Boblil, Wings Executive Director from the Merage Foundation, thanked the members of the Knesset who initiated the caucus and said, "I am extremely pleased and welcome this important initiative in Knesset. I would like to thank members of Knesset MK Michael Oren, MK Itzik Shmuli, MK Dr. Aliza Lavi, and MK Meirav Ben Ari for heading this caucus on such an important issue. The integration of young immigrants into Israeli society as part of the next generation of Israel's leadership is crucial. The positive integration of these young people into society can take place in the most beneficial way only if all of us, all organizations dealing with lone soldiers, unite and cooperate for the sake of the lone immigrant soldier. We will later introduce a model of cooperation which I believe each of our partners in the goal to aid lone soldiers will be able to contribute to so that together we can continue to move forward toward fruitful and productive cooperation." Mira Keidar, Wings Executive Director from the Jewish Agency added, "We need to establish a partnership committee that will become a united body to lead the synchronization between the different organizations. This will create congruence between the needs of released soldiers with the activities and services provided to them in order for them to integrate into Israeli society properly. This requires us to build a separate organizational infrastructure for leading the partnership whose purpose is to design, manage, guide, and support the cooperative process." Dina Wecker, a recent graduate of the Wings Program and a former lone soldier from the United States served as a combat soldier in an artillery unit. Deena thanked the Wings Program for enabling her to organize her life financially and prepare herself towards citizenship and academic studies in the country she so loves. Deena added, "Wings provided me with valuable tools for the purpose of being a significant citizen."